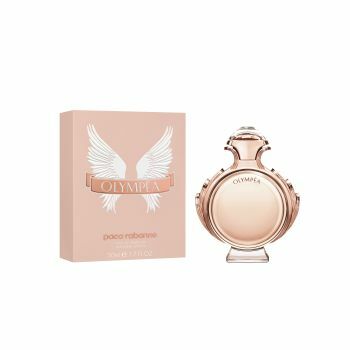 Olympéa Eau de Parfum represents a unique fusion between a sensual salted vanilla accord and refreshing floral notes. The stunning initial green mandarin notes reveal a magnetic salted vanilla accord. Addictively captivating jasmine and ginger blossom notes unveil a sensual cashmere wood and grey amber base note. Its powerful trail and unprecedented balance between the accords make it a signature fragrance for Paco Rabanne.